Hiring top talent and minimizing the risk of bad hires are essential goals for all organizations. After all, employees are the face of organizations to both customers and the world, and high-caliber employees who deliver on their commitments are a keystone of building great organizations. Creating effective hiring practices, including employment screening, are an investment in growing a successful and efficient organization and may help prevent future issues including brand damage, risk and exposure, and help you improve your quality of hire. Over the last two decades, employment background screening has become common practice in organizations of all sizes and in nearly all industries to help improve the quality of hires. Human resources and related professionals responding to HireRight’s 2014 Annual Employment Screening Benchmark shed light on some of the benefits received from conducting employment screening. HireRight discovered that nearly all respondents (93%) reported that they received benefits from conducting employment screening, and 56% said the top benefit was improved quality of hires. This is an important finding, as the U.S. Department of Labor cites that the cost of a bad hire can exceed 30% of the person’s annual salary. So for an employee making $25K per year, the cost of a bad hire could be $32,500. For an executive making $200K per year, the cost could be $260,000. In the United States, 27% of employers reported the cost of a bad hire exceeded $50,000. Monetary costs of a bad hire can include recruiting, on-boarding, training, and possibly severance. This amount does not account for non-financial costs, which could be higher, such as employee morale, interruptions to workflow, the impact on customer relationships, negative perceptions among existing employees, service quality and brand reputation, and possible damage to a company’s reputation. In addition, transportation organizations were particularly vocal that background screening improved their quality of hires, as 70% of respondents cited this as a benefit. One of the reasons an employer performs background screening is to confirm information supplied by a job candidate. 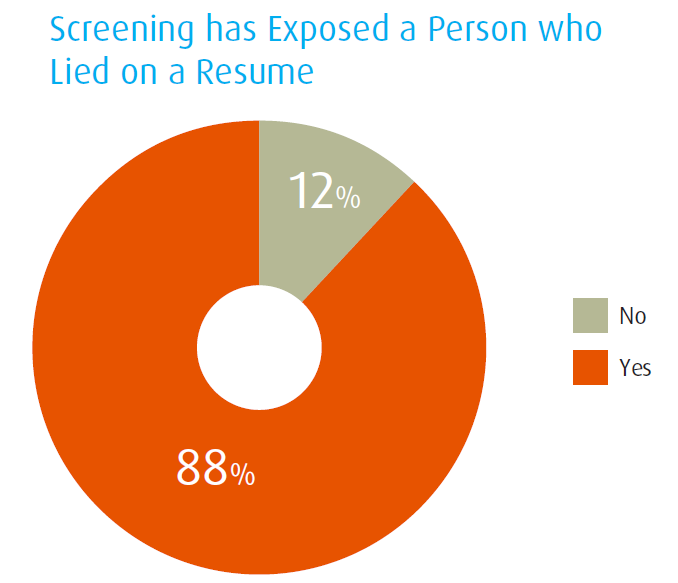 Respondents were asked whether background screening had ever uncovered an applicant who lied or misrepresented information. An overwhelming 88% said yes. Fifty-two percent of respondents also cited the key benefits of employment screening were improved safety and security. Effective screening at the time of hire can help mitigate an organization’s risk for a number of factors including workplace violence, theft, and other security concerns. Nearly three-quarters of respondents (72%) reported that background screening uncovered issues that would not otherwise have been found. 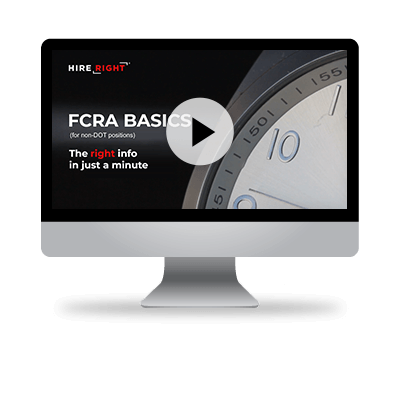 What benefits has your organization realized from background screening?